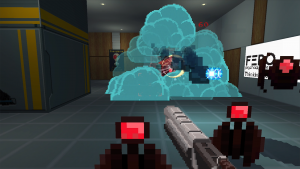 Bunker Punks is a retro FPS with roguelike and basebuilding mechanics. 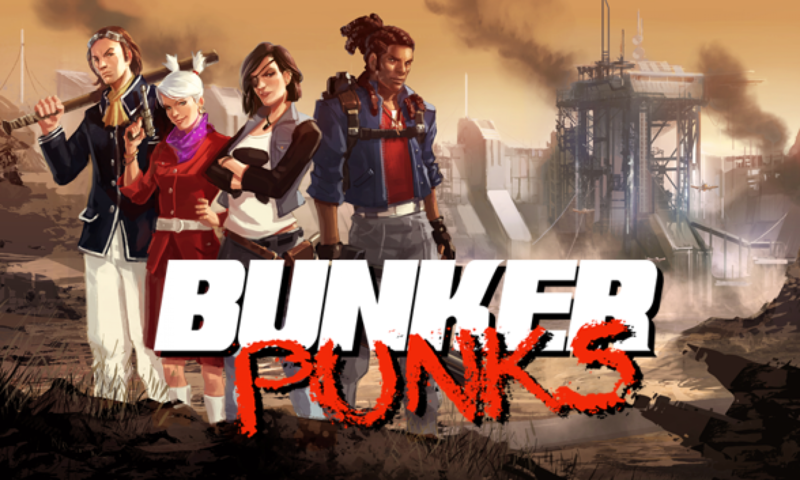 Bunker Punks mixes the fast paced gameplay of classic First Person Shooters with procedural generation, permadeth and customization of roguelikes. After the fall of civilization, you run a group of revolutionaries, raiding corporate strongholds for supplies to bring back to your underground bunker. 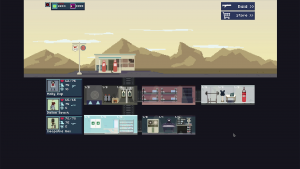 Customize your bunker to strengthen your gang and overthrow the corporate government. CLASSIC FPS GAMEPLAY – Heavily inspired by the classic FPS games of the early 90’s: High-speed-action, circle-strafing and unloading entire clips of ammo into enemies. BUNKER BUILDING – Build and upgrade new rooms in your bunker to buff your punks, improve your economy and enable new abilities. It’s a non-linear skill tree for a wide variety of play styles. RANDOMLY GENERATED LEVELS – Every level is generated randomly by the game. The layout is different, the enemies are different, the loot is different, even the propaganda posters on the walls are different. You never know what’s around the next corner. CUSTOMIZATION – Combine loot, character abilities and bunker rooms for maximum customization of each character in your Bunker Punk gang. Published/Developed by Ninja Robot Dinosaur.